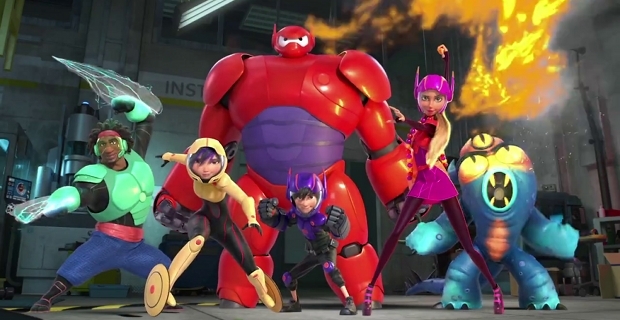 I’ve been super excited to see Big Hero 6 ever since the buzz started about it, and honestly I knew nothing about it. I mean nothing. I saw the trailer with a cute huggable robot and instantly assumed that the whole plot was wrapped around a child who had a family member who suffered from a terminal illness – thus requiring the need of a nurse robot in the home. I even went on to imagine when the family member died that the child went on to have some sort of relationship with the robot. Sort of like Hachi: A Dog Tale, except the dog is an adorable robot. My writer sense kicked in a bit too soon, and boy was I wrong. 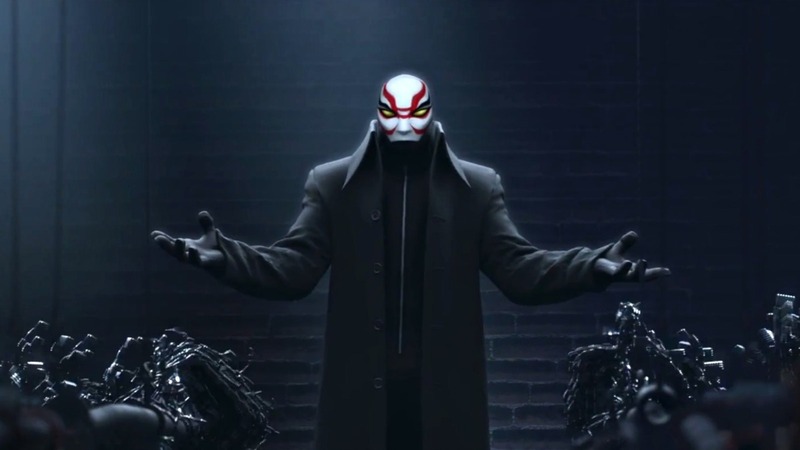 Big Hero 6 is an action superhero movie. There is a villain, there is lots of techno science, there is revenge, and there is a fluffy innocent robot whose primary concern is the health of Hiro. Hiro is a brilliant 13 year old who is intent on amusing himself instead of using his amazing mind. I love that his name is Hiro and sounds like Hero, because that is quite literally what he makes himself, but I’m getting ahead of myself. Hiro’s biggest inspiration is his older brother Tadashi, who is also a brilliant robotics engineer. It is Tadashi who finally inspires Hiro to makes something of his life and encourages him to work toward joining the acclaimed “Nerd Lab” at the university. Hiro’s resulting invention is so groundbreaking that he is offered acceptance to the university on the spot. All this changes when tragedy strikes. Hiro is left grieving and has a hard time moving on. The registration period for the university comes and goes and classes have started. 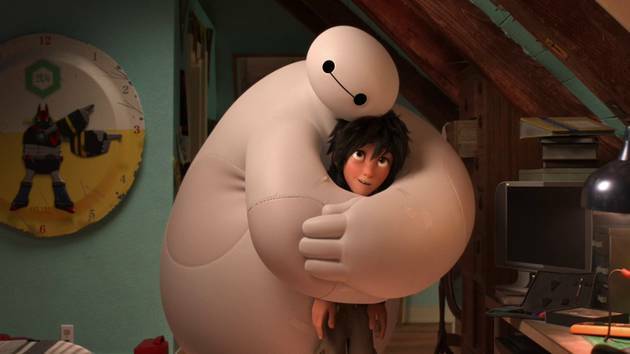 One day, Hiro accidentally activates Baymax – the cuddly health care robot and Tadashi’s final project. 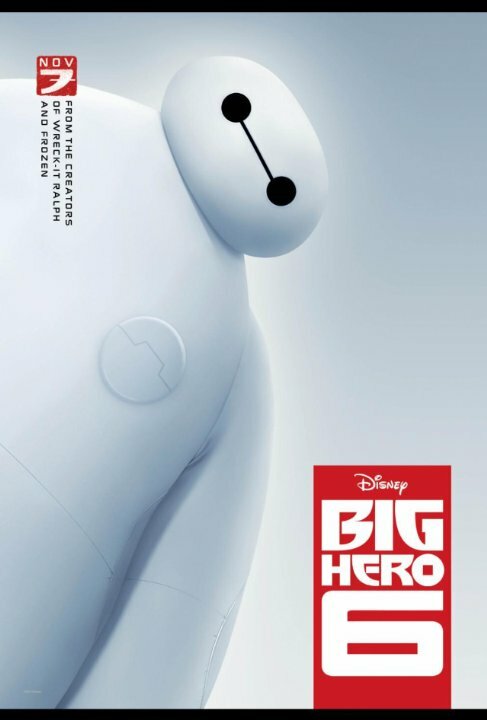 Baymax serves as the much needed catalyst that gets Hiro moving forward once again and also reveals the villain. After that, it’s a roller coaster ride of thrills, adventure, and danger, combined with just enough humor to keep it fun for all ages. Needless to say, I loved it and my kids loved it too. My three year old randomly quotes from it saying, “Hi, I’m Baymax, your personal healthcare companion.” Everyone is doing the Baymax fistbump. We are pumped about this movie, and the world is as well.